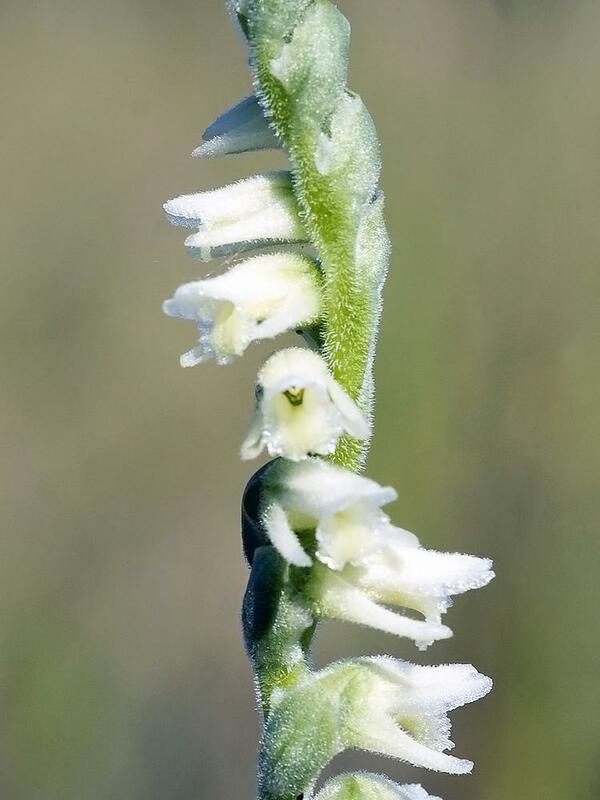 Spiranthes laciniata, commonly known as Lacelip Ladies' Tresses, has a limited distribution in the southeastern United States and southern mid-Atlantic region, from Texas to New Jersey. 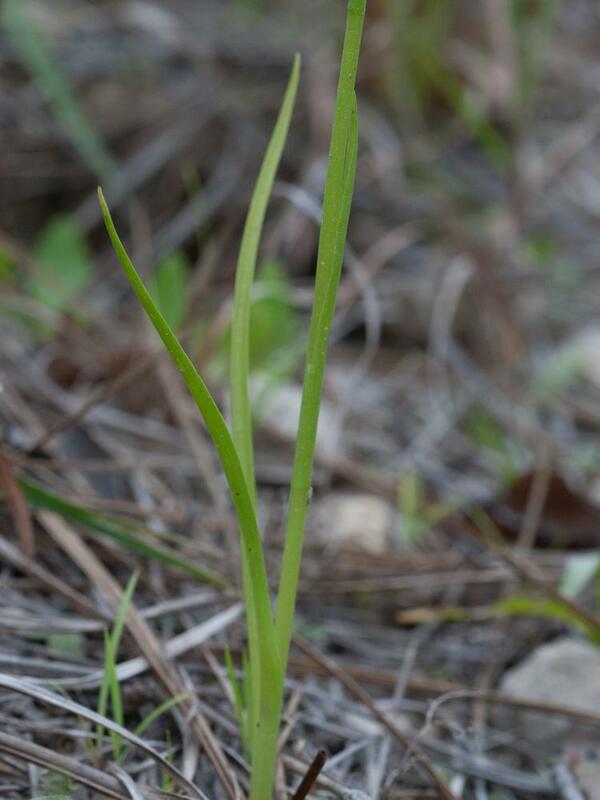 It has up to 5 basal, grass-like leaves which persist through flowering. 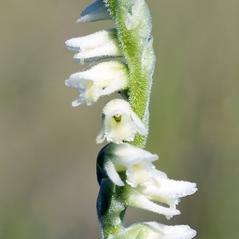 It produces a tightly spiraled inflorescence of multiple small, white to cream-colored flowers. 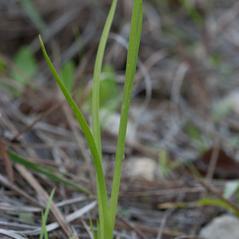 The labellum is often shaded with yellow at the center, and its edges are denticulate, giving it a lace-like appearance. The main axis of the inflorescence is covered in small hairs. 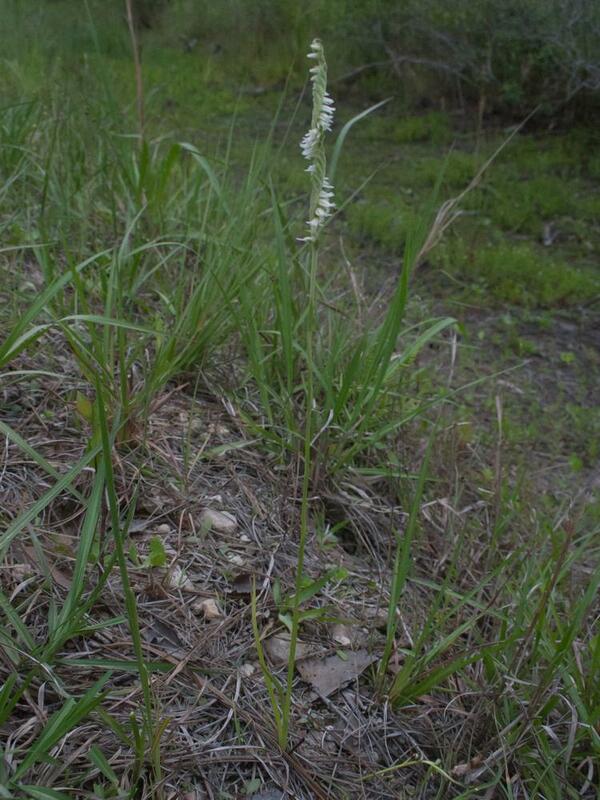 It can be found in moist meadows, marshes, swamps, along roadsides, and occasionally in lawns and wet fields. 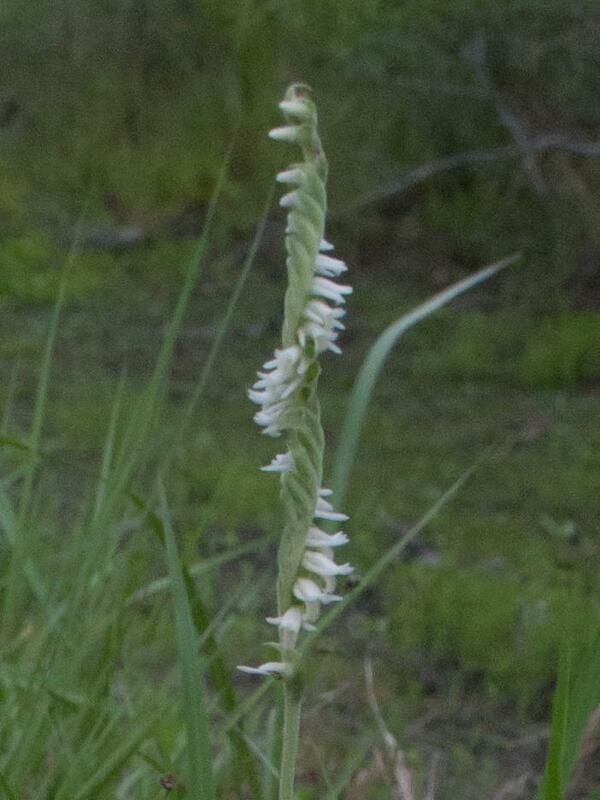 Spiranthes laciniata is globally considered apparently secure. Although it resembles S. vernalis, it can be distinguished by its later flowering period and by the hairs on its inflorescence, which are pointed in S. vernalis but rounded at the tip in S. laciniata. Pollinator information for this orchid has not been reported but flower morphology suggests bees (Bombus) are the pollinators of this orchid. 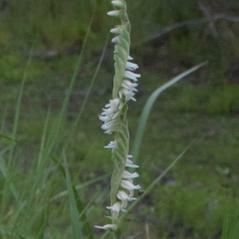 As in most Spiranthes, bees move upward on the inflorescence in search of nectar. Older flowers at the base of the stalk have more nectar, which makes them an efficient first stop for the foraging bumble bees. 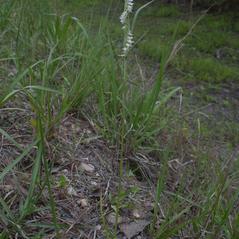 Spiranthes laciniata may begin to flower in April in the south into August in the north.